The first time I fancied myself an arts critic was in 1998. I was a ’tween in the GTA and learned that the Toronto Sun held a regular contest in which readers could submit a movie review for consideration. I typed up my thoughts on Armageddon, taking care to balance my skepticism of the plot’s believability with honest praise for the mix of action, science fiction, and romance that enabled the film to truly offer something for everybody. I mailed it in, and to my delight, they ran it. I received two passes to Cineplex Odeon as payment and used them the following year to see The Matrix, my review for which was again champion of the Sun’s weekly prize. That second foray was, incidentally, the last time I ever considered myself an arts critic. What I am trying to say here – other than that the Sun quite literally publishes work written by twelve-year-olds – is that I do not conceive of the theatre writing I produce and curate to be the work of “critics”. In truth, I never really thought much about theatre criticism as a practice before I was invited to discuss the topic for #CdnCult Times. 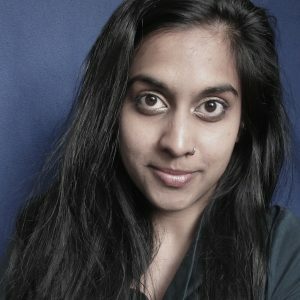 As Editor-in-Chief of alt.theatre, Canada’s only professional journal dedicated to the intersections between politics, cultural plurality, social activism, and the stage, I have the fortune of constant exposure to thoughtful, reflective and reflexive writing about contemporary performing arts. While this writing is certainly critical, I had yet to conceive of it as criticism per se, and I imagine this is because I’ve come to understand “theatre criticism” to belong to the world of “theatre reviews”, an entirely different beast. As a theatre maker, when I’m in the middle of a project, reviews are, of course, an important source of promotion – marketing soundbites, reassurance that audiences might steer their attention toward this work. But when I am the theatre-goer myself I rarely seek reviews for guidance, nor do I necessarily give them credence when they fall into my inbox or newsfeed. Why am I often indifferent to or even circumspect about theatre reviews, when off-stage critical discourse is one of the aspects I value most about the industry and the craft? Perhaps it’s because I’m wary of the relationship between reviews and the (in)accessibility of theatre in this land called Canada. Our professional theatre landscape has in many ways evolved to be inaccessible to audiences and artists alike. My question is: does theatre criticism – reviews and otherwise – help to enable or disable this inaccessibility? What is the utility of theatre reviewing, a task inherently about judgment, in a country where theatre institutions still favour the stories, bodies, practices and world views of the those who are privileged (by class, race, gender, ability, etc)? Our taste palettes are constructed, and well beyond the polite divergences of “you like coffee, I like tea”. The way we experience art is shaped by what we are taught in our childhoods, in our communities of origin, and through our embodied experiences. What songs are memorable? What images are nostalgic? Who is allowed to have a voice? Who is supposed to be powerful? What should or should not be discussed in mixed company? What is beautiful? What is ugly? In an alt.theatre editorial entitled “When Politics Gets Personal”, Rahul Varma contests theatre reviewers who begin their critiques with a belief that art can and should be ideology-free. He argues that in Montreal’s theatre landscape some critics “[create] boundaries between political and personal when there is none” and in doing so “apply the yardstick of conventional family drama to a genre of political theatre that is hugely complex” (6). Elsewhere, Yvette Nolan expresses frustration at reviewers who assess theatre exclusively through Western artistic conventions and their own assumptions of what “Aboriginal issues” should be: “I am frustrated by the refusal to see… what it is we are doing. I am frustrated by the refusal of the reviewers to try to know, to educate themselves. I have learned the iconography, I have learned the tropes of Western theatre. I have learned to recognize a metaphor when I see one… I know that white represents good and pure, black is bad, and purple royal” (33). If the most-read reviewers are serving to maintain the status quo of theatre, then they are serving its inaccessibility. I still believe the task of the theatre reviewer can be valuable. An arts critic friend recently summed up for me that when he sees theatre for purposes of review, his task boils down to three questions: a) what did the creators set out to do? b) did they succeed in their task? c) in doing so, did they offer anything new? This explanation of the craft interests me. If theatre communities (creators, audiences, those in between) are to support a practice that is inherently about judgment, then how can or should those reviewing locate themselves (their contexts, biases, experiences) within the critique? The task of the reviewer can offer so much for those looking for windows into new work in their communities. May those who take up the task do so with care, rigor, and reflexivity. Let us encourage critical discourse about theatre in writing, in person and all sorts of contexts. Let’s include audiences in these discussions. Let’s create more spaces to challenge and inspire each other, to investigate methodology, to celebrate innovation, and to cultivate an artistic ecology that is diverse, fertile, and abundant. Nolan, Yvette. “Dispatch”. alt.theatre: cultural diversity and the stage 6.1 (2008): 33. Varma, Rahul. “When Politics Gets Personal”. alt.theatre: cultural diversity and the stage 7.3 (2010): 4-6.